To analyze adopted children I’ve extracted the respondents in the 2000 Census 5% PUMS who have a child in either foster care (relate=20) or who is adopted (relate=4). The data (adoption_pums.dta) is in STATA format. The 2000 Zip Business Patterns produced by the Census Bureau (establishments counts by zip code and NAICS code at the 6 digit level) which you can download in Stata format (this is a 13MB file). I’ve developed a data set of Isolated Towns in the United States, following the ideas of Bresnahan and Reiss. I’ve also selected all zips codes within a certain area, so that you can develop your own data on entry in conjunction with the zip business patterns say. To find out how this data was constructed, read the technical description . I’ve also developed some data on counties located near other counties. 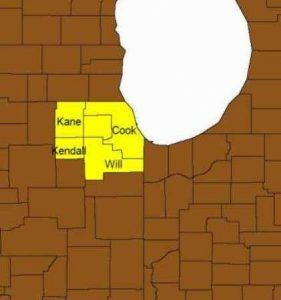 In particular, I list the counties which are adjacent, within 10 miles of another county and within 20 miles of another county.